WFS Technologies (WFS), a global leader in the delivery of underwater wireless instrumentation and control solutions to the offshore oil and gas and renewables industries announces the launch of Seatooth PipeLogger Ultrasonic Flow (UF). Designed to deliver a step reduction in the cost of monitoring flow through subsea pipelines and jumpers, the Seatooth PipeLogger UF is set to revolutionise flow assurance. 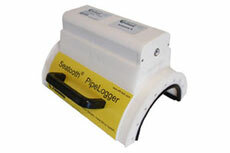 The Seatooth PipeLogger UF incorporates an ultrasonic flow sensor and is designed to monitor flow within the pipeline without penetration of the pipe wall. Flow data is wirelessly harvested from the Seatooth PipeLogger UF by diver, ROV or AUV using Seatooth subsea radio communications systems. The system can alternatively be configured to provide real time data through a Seatooth-enabled Subsea control module (SCM). The wireless communications range of standard Seatooth devices through seawater, the seabed, concrete blankets and the splash zone is 5 - 10 m. Wireless communications range can optionally be extended to 35 m through seawater or 150 m through the splash zone. The Seatooth PipeLogger UF incorporates Seatooth Endure, innovative technology designed to extend the battery life of subsea wireless systems to up to 15 years. 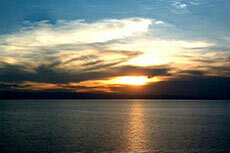 Systems are depth rated to 200 m or 1000 m, are compact and weigh under 5 kg in seawater. They are suitable for deployment by mini-ROV operating off a rig or small vessel or by diver. Deployment and recovery is facilitated by use of diver straps or ROV clamp. An optional protection cover is available for systems buried in the seabed, under concrete blankets or under rubble. Hydraulic control line flow monitoring and control. Monitoring of wax or hydrate build up. 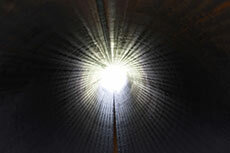 Identifying leaks or pipeline blockages. By reducing the typical installation cost of flow monitoring systems by over 90% the Seatooth PipeLogger UF is another WFS product set to revolutionise subsea asset integrity monitoring and flow assurance. Kongsberg Maritime has sold six of its HUGIN AUV systems to SeaTrepid International LLC. The Seatooth PipeLogger TI is designed to deliver a step reduction in the cost of monitoring process temperature of subsea pipelines and jumpers. WFS Technologies has announced it demonstrated a wirelessly-enabled OneSubsea SCM at a recent demonstration at NASA’s Neutral Buoyancy Laboratory.